A mobile phone-based health project is helping the Peruvian military to keep disease at bay. The initiative, dubbed Alerta DISAMAR, has allowed doctors in the navy to report disease outbreaks and ask for help with treatment. The scheme was set up following the deaths of two Peruvian sailors in 2001 from malaria and is part of a wider mHealth project by the United Nations-Vodafone Foundation. Since it was set up in 2003 it has provided invaluable information for epidemiologists and enabled them to track the spread of diseases. It is also a useful way of gathering statistics on disease for health planning. To date, over 80,000 cases have been reported - everything from snakebites to yellow fever. The fatalities in 2001 spurred the navy into searching for technology to help them prevent further deaths. 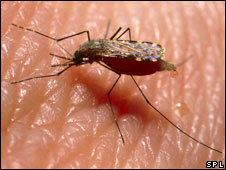 Eight years on, they now have a system for tracking disease outbreaks, even in remote areas. The US navy helped establish the product and a firm called Voxiva developed the technical aspects, under advice from Ernesto Gozzer, a doctor who specialises in public health. He spoke to BBC World Service's technology programme, Digital Planet about the success of the project so far. "This project provides the Peruvian navy with a tool to improve the surveillance and facilities that they run," he said. "If you are a medical doctor or a nurse working in a health facility far away and you have a suspect case of ebola, what you do is call into a toll free number, enter your personal identification number and then your password. "The system will then ask you what you want to do. "You say you want to send a report and the system will ask you what disease you want to report. "You will enter the code of that particular disease and then the system will ask you specific data like the age, the gender and how many days ago did symptoms start. "Once you send the case, the report goes to a database that can be seen online by a specialist," he added. The mobile project is a way of alerting doctors ahead of an epidemic, so that medical provision can be put in place early. Crucially, medical problems and entire disease outbreaks are flagged up in real time and the Peruvian navy says that this is what saves lives. "The system also triggers a notification by SMS, so the person will get the notification, even if that doctor is at the beach, on vacation or out of the office," said Dr Gozzer. "That way, we can get the information from the source in real time and we can help the people who are dealing with the problem in the field. "Health officials will also have a database and can monitor the trends of the diseases and identify potential outbreaks and also have more information to do the planning," he added. Alerta Disamar is one of many projects from around the world described in a recently released report on mobile phone technology in health. The report, called "mHealth for Development" was jointly published by the United Nations Foundation and the Vodafone Foundation. This partnership between the two has been running for four years and there are more than 50 mHealth programmes around the world, showing the benefits that mobile technology can bring to healthcare provision. In South Africa for example, the SIMpill project integrated a sensor-equipped medicine bottle with a SIM card, ensuring that healthcare workers were advised if patients were not taking their tuberculosis medicine. The percentage of people keeping up with their medicine rose from 22% to 90%. 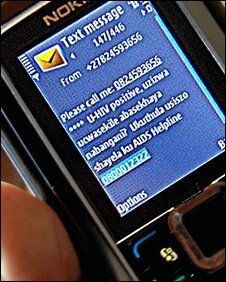 Another project called the Masiluleke SMS message campaign, sent millions of free texts to encourage people to be tested for HIV and Aids, this resulted in a huge rise in numbers visiting health clinics. You can listen online or download the podcast .